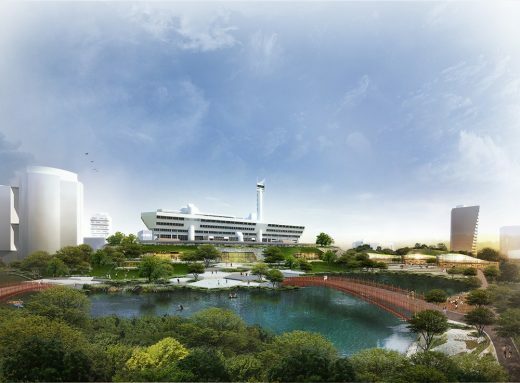 The Singapore Urban Redevelopment Authority unveils the masterplan for Jurong Lake District in Singapore, the city’s future second Central Business District. The JLD masterplan is exhibited till mid-September and invites the public to share their views. 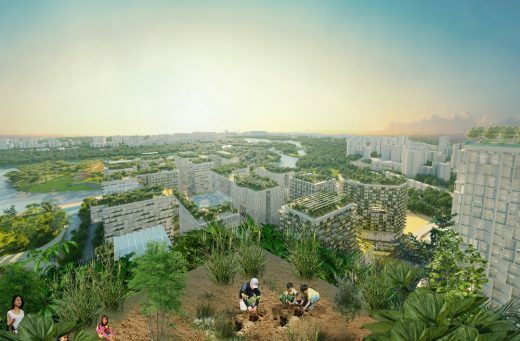 The Singapore Urban Redevelopment Authority (URA) has appointed KCAP Architects&Planners, leading a multi-disciplinary team consisting of SAA Architects, Arup, S333 and Lekker, as winning consultant for the development of a masterplan for Singapore’s Jurong Lake District. The new concept for the highly anticipated Terminal 4 at Singapore Changi Airport has been unveiled at the T4 groundbreaking ceremony. Appointed by Changi Airport Group, Singapore’s SAA Architects, the lead consultant and executive architect of the Architect & Design Consortium, collaborated with UK-founded design firm Benoy on the concept and interior design of the new terminal. Tange Associates was pleased to join OUB Centre Ltd. yesterday to celebrate the grand opening of its One Raffles Place Tower 2, the 38-storey premium office tower located in the Central Business District (CBD) of Singapore. SAA is recognised as one of the leading architectural firms in Southeast Asia. With strong emphasis on excellent architectural design and detailing, the firm has won multiple prestigious accolades such as BCI’s Asia Top Ten Awards since 2009 for four consecutive years and the FIABCI Singapore Property Awards. For its initiatives in shaping environmentally sustainable buildings, SAA has attained multiple Building and Construction Authority (BCA) Green Mark Awards including Platinum Awards for Canberra Residences and OUB Centre. SAA was founded in 1970 and has been playing a key role in the nation building of Singapore, designing timeless landmarks like the UIC Building, SIA building and the PSA headquarters. In addition, the firm was instrumental in designing and implementing key segments of Singapore’s world class Mass Rapid Transit (MRT) and Light Rail Transit (LRT) network, including the North South Line, East West Line, Circle Line and Downtown Line, encompassing a total of more than 50 stations. SAA is also the architect of landmark projects that catalyse whole masterplans such as Jem in the Jurong Lake District, and the National Continuing Education and Training (CET) Campus in Paya Lebar. o Urbanistic – Our works interweave, engage and influence the urban environment, adding value to the city and making it a better place to live in. o Humanistic – Our designs are people- and community-centric; thoughtfully considered, user-friendly and accessible, they positively impact the end users and its community. o Optimistic – Our architecture conveys a sense of optimism that is uplifting, delightful and inspiring, as we use our craft to create works that elevate and enrich lives. SAA also hires best-of-breed talents based on international professional standards. The firm is steadfast in providing clients with a high level of personalised service through a quality consultative approach. SAA offers comprehensive and diversified architectural services covering master planning, mixed development, institutional, education, transport and rail, retail, commercial, residential, sports and industrial. The firm’s international presence spans seven offices in Singapore, Brunei, Indonesia, Malaysia, Vietnam, India and China. Notable foreign consultants like SOM (USA) and Tange Associates (Japan) have partnered SAA in international projects.